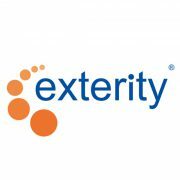 Edinburgh, 20 January 2016 – Exterity, the leading provider of enterprise IP video solutions and Philips, leaders in the hospitality TV industry, today jointly announced that, with the launch of AvediaServer 7.3, Exterity IP video solutions now support Philips MediaSuite Hospitality SmartTVs. Exterity provides the hospitality and leisure industry with future-proofed and built to last systems that enable best-in-class in-room entertainment experiences that can be enhanced, supplying an unlimited number of high-definition channels with stunning picture quality, to any number of guest rooms or hotel screens. Exterity IP video solutions are interoperable with hotel management systems to deliver interactive services such as reservations, booking tickets or guest billing via TV screens , while revenue generating on-screen promotions can be tailored. The hotel network is used to deliver all the expected guest services as standard, and users can create bespoke services and customizable interfaces with the Artio portal middleware. The Philips MediaSuite hospitality TVs differentiate the guest experience with full HD LED TV-brilliant LED images with incredible contrast. With advanced hotel features like SmartInfo for interactive hotel information pages, SmartInstall for remote installation, it all adds up to the ultimate guest experience. By using these features, leisure organizations can promote services such as spas, restaurants, room service and more at no costs, while Smart TV apps turn the display into an information hub for travellers. The integration of Philips MediaSuite with AvediaServer 7.3 will be demonstrated on the Exterity stand #11-E68 at ISE (Amsterdam, February 9-12). Enhanced video services such as room service, billing, additional information, etc. To request a briefing with Exterity, please contact Segolene Roche of Platform PR: segolene@platformpr.com, (T) +44 (0)20 7486 4900. Since 2001, Exterity has been designing, developing and manufacturing technically innovative products that deliver networked video over IP to some of the leading organizations across the globe.